Google TV: Death Of The HTPC? Google’s recent announcement of the exciting new “Google TV” has many scratching their heads. 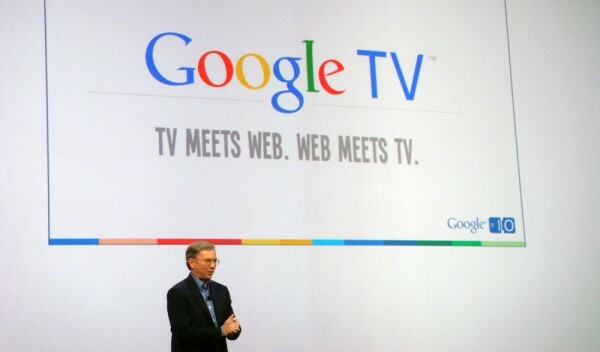 However, the question isn’t really “why,” but rather “what now?” Google TV isn’t a new concept by any means. Various companies such as Boxee, Microsoft, and HP have released products that bring the Internet to your TV. Some of these products, such as Microsoft Media Center, are applications that require additional hardware, while others, such as HP’s home theater PCs (HTPC), are an all-in-one solution designed to turn your TV into a giant computer monitor. Boxee is similar to Google TV in that it has a hardware companion box, as well as a software client, however this product is still in the beta stages. Boxee has teamed up with D-Link to construct their companion box, but their software client will run on Windows, OSX, and Linux as well. Google TV, on the other hand, only runs on Google’s Android OS. For hardware, Google has partnered with Intel for processing, Logitech for a companion box and peripherals, and Sony for HDTV sets. Adobe has also joined the team on the software side by optimizing their Flash and Air products for Google TV. Considering the wide realm encompassed by Google and its partners, one must wonder how much life the HTPC has left? On the software side, Google TV is more comprehensive than its competition. Most services allow users to surf the web, watch movies from video streaming sites, and tune into live TV. However, Google leaves the competition in the dust by offering the wide integration and connectivity with other devices. Typically, your TV can only be controlled by HTPC software. Google TV, on the other hand, offers access to control from a laptop, desktop PC, as well as an Android phone. 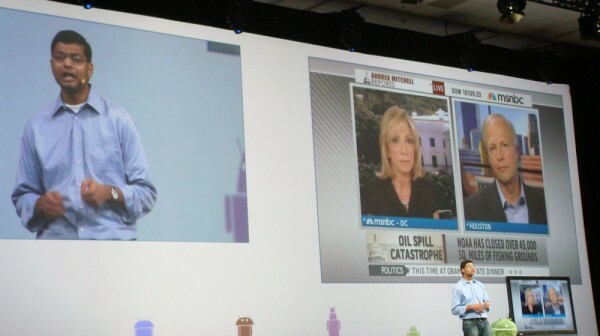 Google demoed this feature by pushing multimedia content from the screens of a laptop and Android phone to Google TV. In addition to just pushing screens, Google TV also supports a “picture-in-picture” mode so users can keep watching their current TV show while browsing the web or running an app. 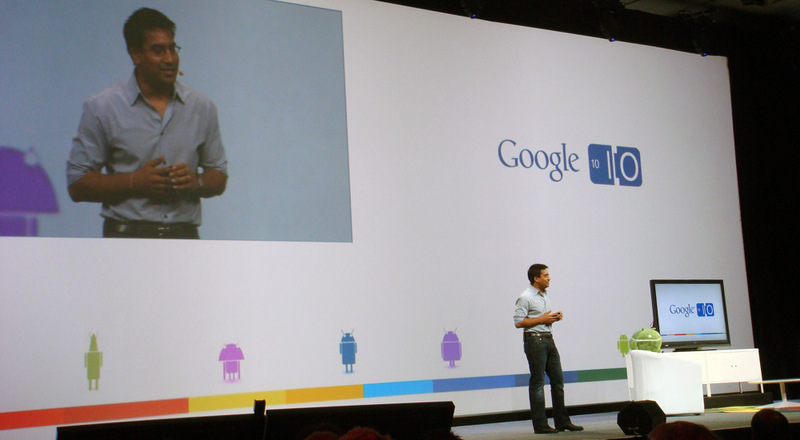 Connectivity goes even further by allowing users to send voice commands to Google TV via an Android phone. When using Google TV’s “quick search” bar, users can say what they want to find into their phone instead of having to use a cumbersome keyboard or slow remote to type in the words. Apps are another interconnected feature of Google TV. Users can install apps on Google TV from their PCs through the Chrome browser. Of course, apps can be downloaded directly from the Android marketplace on Google TV as well. While other programs installed on a HTPC might contain many of the same features, none of them are as easy to use as Google TV. Many competing products aren’t interconnected out-of-the-box and require the installation of a separate application on each device you want to interconnect. Google TV clearly prevails over current HTPC programs in its out-of-the-box connectivity, ease of use, and great user experience. The physical Google TV setup consists of a companion box (built by Logitech), which you connect to your cable/satellite box and TV. If you purchase one of Sony’s upcoming TVs that support Google TV, it will already have the features of the companion box integrated into it. For net connectivity, the platform supports both Ethernet and WiFi. Inside the hardware package is an Intel Atom processor. While this might seem lacking from a computer perspective, remember, Google TV is meant for simple media applications and not heavy processing. Unfortunately, Google didn’t specify the graphics processor going into the companion box, but I have a strong hunch it’s one of Intel’s integrated solutions. This means that a dedicated HTPC could have better graphics capabilities, but this would only really be useful for intensive games. The one area a HTPC might have an advantage is in the storage department. Google TV does not have an integrated DVR, although it can control your current DVR device. With a HTPC, it’s possible to upgrade the hard drive and attach a network attached storage (NAS) device, which can hold more data than Google TV paired with a DVR. We haven’t heard anything about possibly having Google TV control a NAS device, since it’s geared more towards streaming content, but I think it would be a useful addition in the future. Google TV’s comprehensive package will make it more attractive than the current offerings. Google TV stands out due to its easy and quick switching between live TV and Internet content, connectivity with mobile devices, and access to the Android Marketplace. In addition, Google TV is backed by a huge partnership consisting of Intel, Sony, Logitech, Dish Network, Best Buy and Adobe. By the end of this year, we’ll see whether or not this conglomerate of hardware manufacturers, software developers, and distributors will kill off an already small HTPC market. Although pricing hasn’t been revealed, I predict that Google TV will be cheaper than HTPC, which easily costs $500 and requires additional software. For power users, the HTPC might still be a viable option for them, but for the mass market, the ease of Google TV makes all the difference. This is the first time I really stopped to read about Google TV. But, it seems backwards to me. I have no need to bring the Internet to my TV. What I am far more interested in doing is cutting the TV entirely, saving about $80 a month on my communications bill. I’d thought Google TV was going to replace the cable and satellite TV companies. If not, I really don’t have any interest in it at all. I sure don’t need more stuff to dust. unfortunately not. that would have been something. this is just a complement to an existing TV. Laura, you are missing the point. You want to cut your TV bill. That’s called paying for content. Your Broadband bill is also referred to paying for content. The real problem is that you have overlap of services btwn these two. You pay the cable or satellite company $50 a month for 60 channels of content. Also, you pay your broadband provider $40 a month for Internet access. But you can watch comedy central either on your TV or on your PC over the Internet. The trick, if you want to save money is to find a way to eliminate duplication of services. My wife and I cut cable over six months ago and save $60-80 per month without any real sacrifice to our tv watching. We found out that we can have broadband internet (usually around 9-12mb/s download) with the local and public channels for the same price as just having broadband. I’ll only consider GoogleTV if it can integrate our movie library of 150+, which is stored on a NAS, as well or better than boxee while still allowing for easying streaming tv browsing. Otherwise, boxee or xbmc ran from an asus mini pc seem like a better option to me. Either way, that’s better than our current setup of connecting our pc to cords. Still, it’s very simple to call your cable company today. With more sports on streaming, along with xbox and ESPN’s agreement, there really isn’t any need for traditional cable anymore. We’ve saved over $480 this year while watching the shows we like when we want. Plus, we actually spend less time watching tv, and more time doing other more fulfilling things.